The beautiful home is not only the well finished buildings and finishing work, but mostly the coziness which the interior gives. 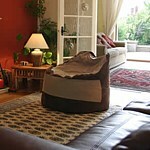 Important part of it is the quality furnishing, which makes you feel you are at home. Bulgarian Home Care is in partnership with some of the leading furnishing companies in North-Eastern Bulgaria and private companies for handmade furniture. As every property is specific and has its own character, we give our clients the opportunity to take the advantage of our furnishing team knowledge. We will visit your property, take measures, discuss with you your personal requirements, needs and ideas and will prepare for you a detailed individual project with samples of colours and breakdown quotation including fitting, delivery and time schedule. Composing the furnishing project is free of charge for all Bulgarian Home Care clients. Bulgarian Home Care can assist you with fitting a modern or traditional kitchen in your holiday home in Bulgaria – all type of kitchen cupboards, appliances, fridge, freezer, oven, hobs, hot-plates, microwaves, utensils etc., different colors and designs. Bulgarian Home Care Ltd can assist you with furnishing your holiday home bedrooms with high quality standard furniture – king size beds, double and single beds, mattresses, night tables, night lights, wardrobes, chest of drawers, dressing tables etc., different colors and designs. Bulgarian Home Care Ltd can assist you with furnishing your holiday home dinning room with high quality standard furniture – tables, chairs, chest of drawers etc., different colors and designs. Bulgarian Home Care Ltd can assist you with furnishing your holiday home living room with high quality standard furniture – TV sets, book shelves, chest of drawers, coffee tables etc., different colors and designs. Bulgarian Home Care Ltd can assist you with furnishing your holiday home relaxing area with high quality standard sofas – sofas, sofa-beds, kitchen sofas, arm-chairs, stools, etc., different colors and designs. Bulgarian Home Care Ltd can assist you with fitting vertical and horizontal blinds in your holiday home; different colors and designs.